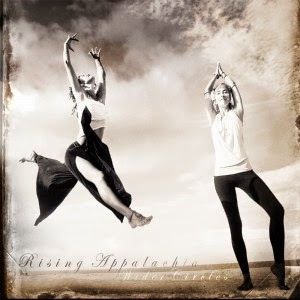 The latest release from Rising Appalachia breathes new life into folk music traditions of the American South. While traveling the Americas, Europe, and parts of India, sisters Leah and Chloe Smith have studied age-old musical traditions and integrated them with their own Appalachian folk music heritage. After two years of songwriting, composing, and then recording at Echo Mountain Studios in Asheville, N.C., the Kickstarter funded album has been warmly received by long-time fans and newcomers alike. It was dubbed "Earth Day's Soundtrack" by The Huffington Post. Nine years and six albums into an independent career, Rising Appalachia has developed a reputation for spirited music, galvanizing lyrics, and captivating live performances. It continues to abide by values of sustainability and social responsibility, traveling by rail for the first part of the Wider Circles Tour, and inviting up to two non-profits and other community groups to each show to educate audiences on local issues. Since the tour won't be coming this far South (the closest shows are in North Carolina), here's a chance to win a copy of the new album. Subscribe to receive posts that will keep you informed on conscious music culture in Central Florida. You must click the link in the confirmation email you receive to be entered. Contest closes May 13 at 11:59 p.m. Winner will be notified by email. You can tell your friends on Facebook and Twitter about this giveaway by sharing these posts or by commenting below and selecting "Also post on Facebook".